Poll: Which 2018 smartphone are you most looking forward to? There were so many great smartphones released last year that it's almost hard to imagine how 2018 could top it. 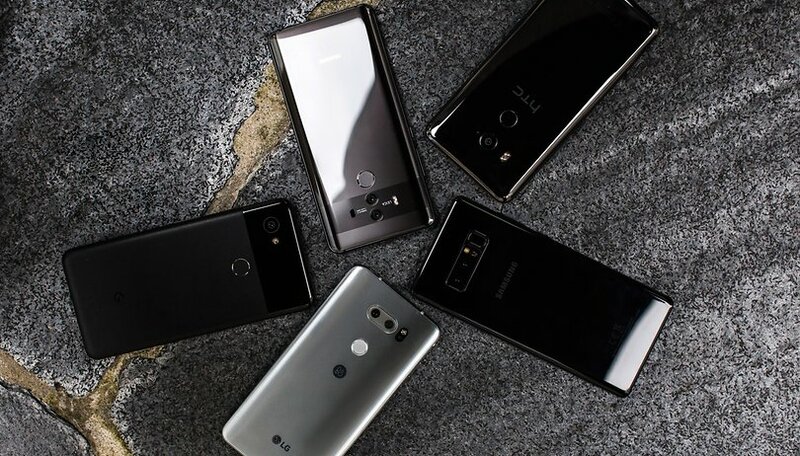 Nevertheless, time marches on and before you know it the top manufacturers will begin debuting this year's top smartphones. In this week's poll, we want to find out which you're the most excited to see. We already have a pretty good idea of which smartphones are going to be released this year. Things are expected to kick off in the coming weeks with the Galaxy A series' 2018 A3, A5, A7 and A8 models and the Samsung Galaxy S9 around February. We should also see the LG G7 coming around February or March, the Huawei P20 in March and the HTC 12 in April. By June and July, we'll start seeing the arrivals of the Xiaomi Mi 7, the OnePlus 6 and the Honor 10. And, in September, we're expecting the arrival of the next Google Pixel. There are plenty of upcoming devices for which we don't have an idea of when they will be released, like the RED Hydrogen One, the Motorola Moto Z3 or a new Sony flagship. Plus, there are some rumored devices which may not even be released in 2018, like the foldable Samsung Galaxy X. We want to know which smartphone you're most eagerly anticipating. In the poll below, indicate which device has caught your heart and imagination, and then tell us why in the comments. If the phone you're looking for isn't listed, just mark "Other", and let us know in the comments! We look forward to seeing the results and discussing them with you all. Which smartphone are you most looking forward to? The one that I currently own. The new Google phones should be interesting -- if they learned from the Pixel 2 XL's shortcomings. Sadly except for the red hydrogen and then only slightly, there is nothing to get excited about. Smart phone have evolved to a point where it is not necessary to up grade even after 2 years. My 5 year old S3 still handle most new apps. All you get today is a slightly better processor and maybe GPU. The rest is all just gimmicks to sell phones. I will stick to my S3, Note 4, G5, and V20. The V20 I bought only for back up in case my note 4 stops working, since it is the last flagship phone with a removable battery. Even though smartphones have evolved enough to not need to be replaced after just two years, degraded battery life often pushes people to upgrade after two years anyway. For those who want to keep their phone longer, something with a replaceable, removable battery is the way to go, and the LG V20 is a great option!